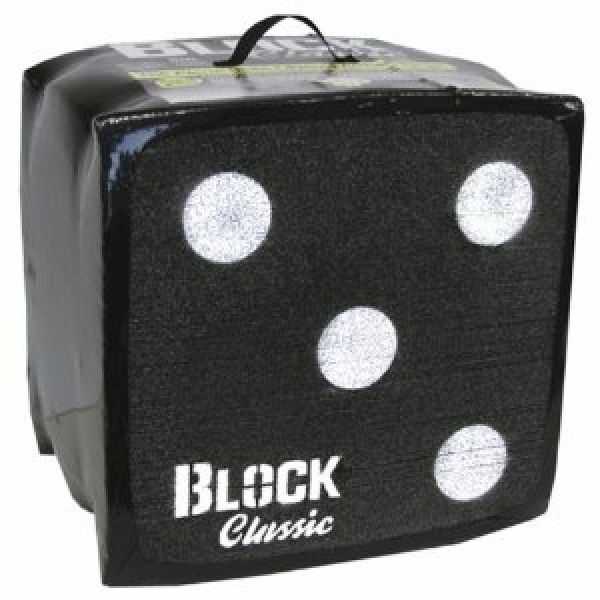 The Block Classic Target is the original open-layered target. South Nation has a special buy on 22" x 22" x 16" Block targets for $139.00, while supplies last. This target will accept field tips as well as fixed and expandable broadheads, and has a convenient carrying strap. This target is made entirely of Rinehart's high-performance self-healing foam. It is rated for crossbows with speeds of over 400 fps. It is 14"x14"x14" and has a convenient carrying strap. South Nation's price is $199.00. This bag target is 20"x20"x10" and will stop most high-speed bows for an excellent value. The Hurricane bag target is 28"x28"x12". The target will stop most high-speed bows and has a large impact surface. It has high contrast and high visibility shooting spots and features TRI-CORE Technology for stopping power and durability. The Hurricane bag target is priced at $139.00.